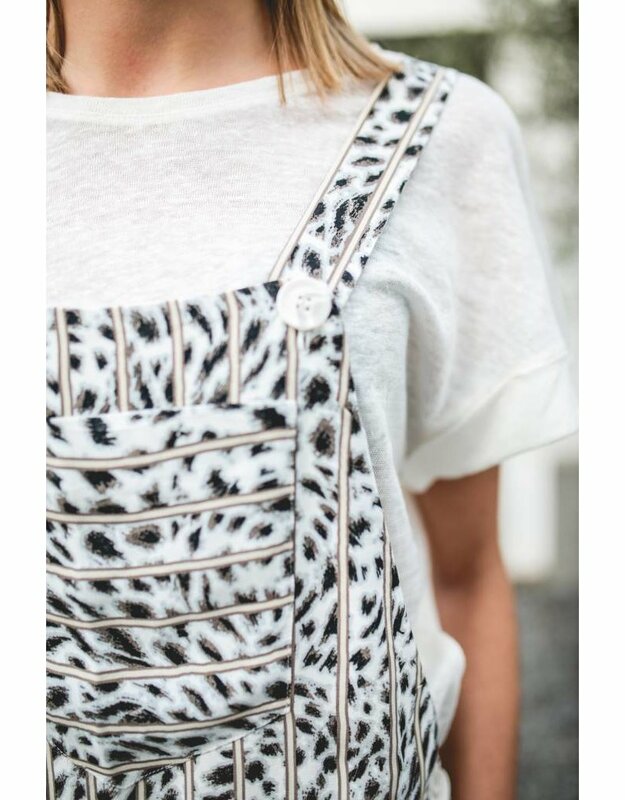 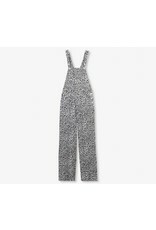 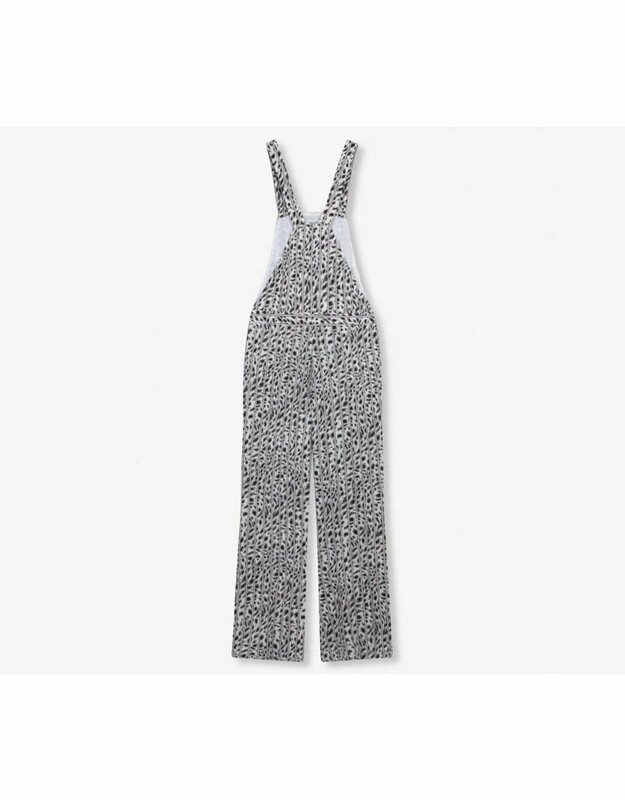 Daring dungaree cut from a soft woven viscose with striped leopard all over print. 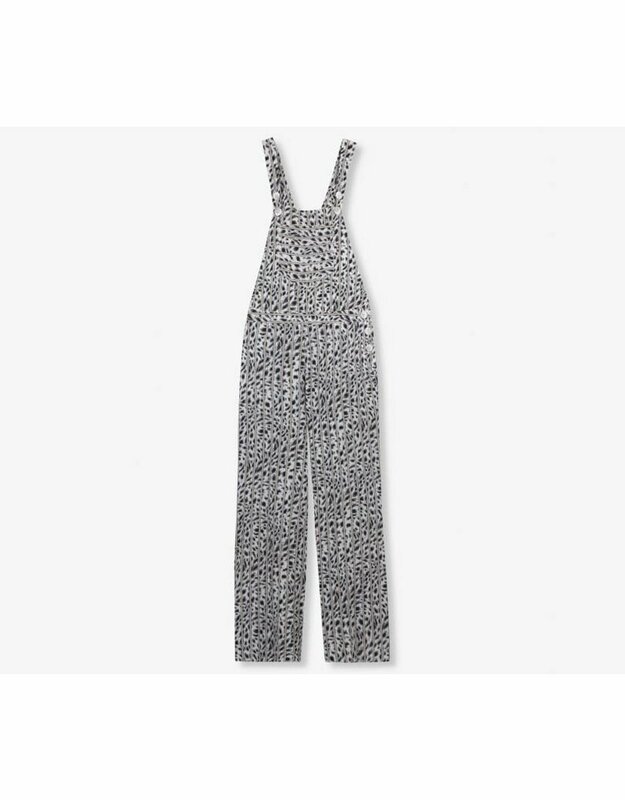 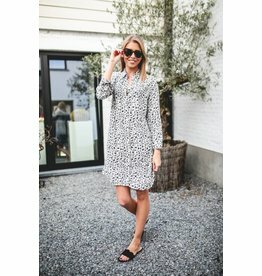 The pants has a wide leg and button closure at waist. 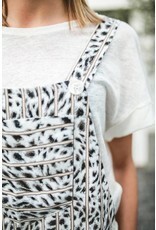 At top are adjustable straps with buttons.